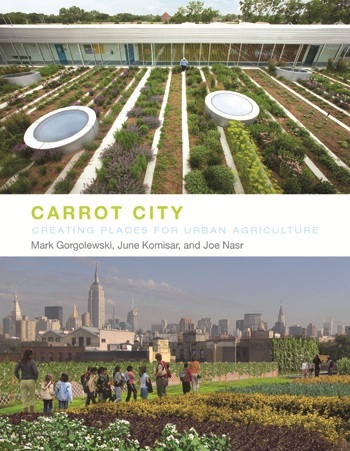 Carrot City explores how design enables the production of food in cities. View over 100 Carrot City case studies! To explore the collection database select a category above. 10 years ago: Symposium and exhibit that led to Carrot City! 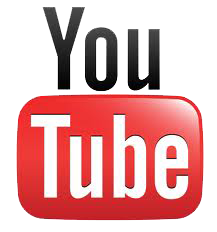 Ten years ago, a pioneering event took place. As the description below states, this may have been the first gathering that connected urban design and planning issues to food and agriculture. This symposium was accompanied by an exhibition that inspired its coordinators to organize the Carrot City exhibit less than a year later. Full details about this event can be found by clicking here. 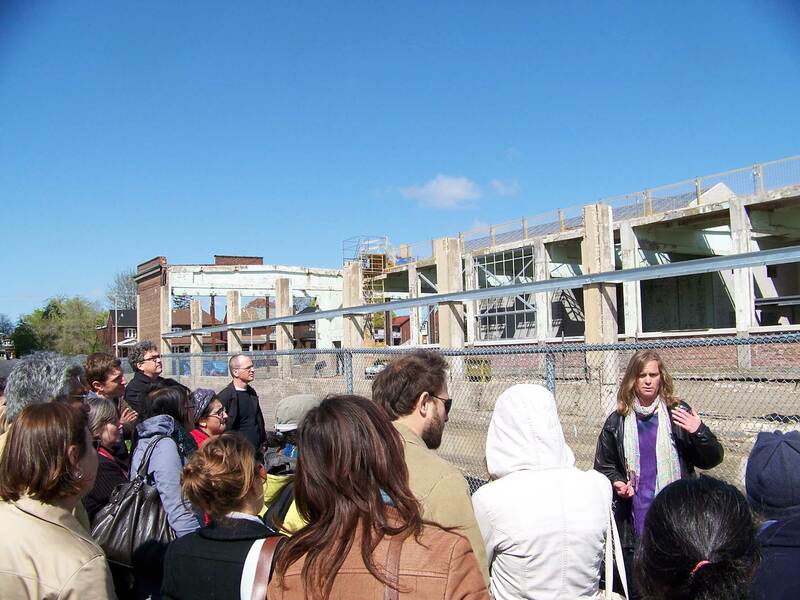 This symposium will investigate the opportunities for creative cooperation between shapers of the built environment and actors in urban food and agriculture systems. It brings together, for the first time, individuals from the full range of professions of the built environment who have been recently tackling challenges of the urban food system. The interface between the physical aspects of urban food provision and distribution, urban design and architecture will be explored. Welcome to the Carrot City website! Carrot City is a research initiative that explores how design can enable the production of food in cities. It examines the relationships between design and urban food systems according to five categories: Carrot City is a research initiative that explores how design can enable the production of food in cities. It examines the relationships between design and urban food systems according to five categories: City, Community & Knowledge, Housing, Rooftops and Components for growing. Building on a 2008 symposium Carrot City was conceived by students and faculty at the Department of Architectural Science, Ryerson University, as an exhibit held in early 2009 at the Design Exchange in Toronto. Since then, the initiative has expanded into a travelling exhibit that has been shown at a number of venues around North America, Europe and Africa. To date, content from this exhibit has been translated into Arabic, French, Italian, Spanish and Thai. A book by the curators, based on the exhibit, was published by The Monacelli Press in September of 2011. A number of publications, presentations and symposia have also emerged from the initiative or profited from the wealth of information collected for it. 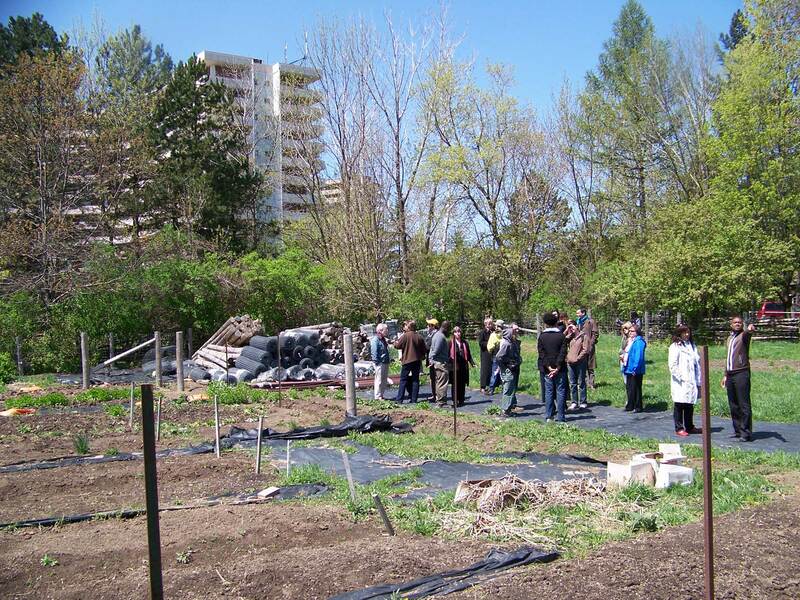 The initiative aims to disseminate ideas and knowledge about best practices in urban agriculture. To that end this website contains a comprehensive repository of the Carrot City initiative and is intended as a research tool for anyone who is interested in the links between design and food in today's cities. Carrot City was conceived by students and faculty at the Department of Architectural Science, Ryerson University, as an exhibit held in early 2009 at the Design Exchange in Toronto.